Have you ever taken medicine to feel better but it made you feel worse? Being allergic to certain medicines is very common. Which is one of the main reasons why compounded drugs exist. A compounded medication is a drug that is specifically prepared for you, based on a prescription from your doctor. Your pharmacist will mix different ingredients together to create an individualized medication for you, in a specific strength and dosage form. If you are allergic to something specific in a medicine then a compounding pharmacist will make the same drug for you without the allergen. If you have a child that is sick but doesn’t want to take the full prescription, a compounding pharmacist will make a smaller dosage. Compounded medications aren’t commercially available. This means that the drug is not currently being made by a pharmaceutical company and therefore doesn’t have a trade or brand name like the typical prescription you would fill at your local pharmacy. They are made for you at the pharmacy, based on your doctor’s prescription. Compounds can be customized to fit your needs. Custom strengths, and dosage forms can make a familiar medication easier to use. New ingredient combinations can also offer treatments that might not otherwise be available. At one time, nearly all prescriptions were compounded. With the advent of mass drug manufacturing in the 1950s and ‘60s, compounding rapidly declined. The pharmacist’s role as a preparer of medications quickly changed to that of a dispenser of manufactured dosage forms, and most pharmacists no longer were trained to compound medications. However, the “one-size-fits-all” nature of many mass-produced medications meant that some patients’ needs were not being met. We believe in compounding pharmacies.  For quality compounding ingredients contact Triova today.